What do former President George H.W. Bush, rapper Missy Elliott, and five-time Olympic gold medalist Gail Devers all have in common? They’re each incredibly successful in their respective fields, and they each had to deal with the daily struggles of living with Graves’ disease. It is estimated that over three million Americans suffer from Graves’ disease, including 2% of the female population. But what exactly is Graves’ disease? FastMed Urgent Care answers all of your questions about this complex illness. Graves’ disease is an autoimmune disease that affects the thyroid. 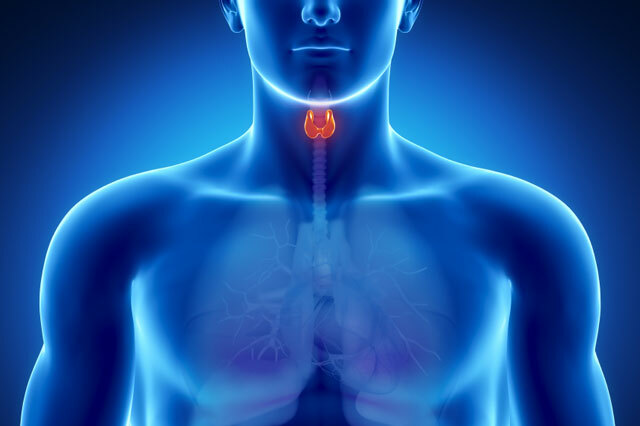 Your thyroid stores and produces hormones, and these hormones impact several bodily functions. People who suffer from Graves’ disease often have an enlarged thyroid, or goiter, as well as the symptoms of hyperthyroidism. Graves’ disease is at least seven times more common in women than in men, and it can appear at any time in a person’s life. The cause of the disease is not known, although genetics likely play a major role. Some physicians, including Dr. Graves, the disease’s namesake, believe that severe emotional stress can trigger Graves’ disease, although this hasn’t been proven. In short, no one really knows for sure why some people develop Graves’ disease. Graves’ disease causes the thyroid to work overtime, so it shares many of the symptoms of hyperthyroidism. This can include sensitivity to heat, fatigue or trouble sleeping, irritability, hand tremors, rapid heartbeat, and weight loss. Unlike other diseases that cause a hyperactive thyroid, Graves’ disease can inflame the tissue behind the eyes, so they may appear to bulge out. It can also affect vision if left untreated. This is known as Graves’ ophthalmopathy and occurs in about 30% of people with Graves’ disease. Some Graves’ disease sufferers experience skin changes, including reddening and thickening of the skin, particularly on the shins and feet. What is the test for Graves’ disease? If you have symptoms of Graves’ disease, the doctor may order some tests to examine your thyroid function. A blood test will likely be performed to see if you have the right amount of thyroid hormones. A radioactive iodine uptake test checks the amount of iodine the thyroid is taking up. The iodine is used to make thyroid hormones, and a high uptake may indicate Graves’ disease. There are also some antibody tests that may be performed. Your doctor will take a blood sample and use the results of your labs as well as your description of your symptoms to determine if you have Graves’ disease. How do you treat Graves’ disease? The good news is that once Graves’ disease is detected, there are rarely any long-term negative consequences to your health if you receive prompt, appropriate medical care. Graves’ disease is easy to treat with antithyroid medicine. This medicine keeps the thyroid from producing too much hormone. Radioactive iodine therapy is another option. You ingest radioiodine, and over time, it destroys the overactive thyroid cells. With this treatment, you will likely need medication later to maintain a normal supply of thyroid hormones. In severe cases of Graves’ disease, you may need surgery to remove all or part of your thyroid. The symptoms of Graves’ disease, including irritability and fatigue, can occur with many other medical problems as well. If you’ve been feeling tired and cranky lately, don’t just chalk it up to stress. Come to FastMed Urgent Care for testing. The earlier you catch any potential issues, the more quickly we can treat them, so you’ll feel like your old self again.